We are a leading manufacturer and supplier of Curve Bar Expander Roll. 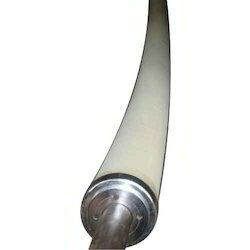 We are instrumental in offering a wide range of Curve Bar Expander Roll. It is extensively in the application of Textile Processing machines, paper and plastic. Our skilled professionals manufacture this roll using well-tested raw material and sophisticated technology. In addition to this, our offered range is rigorously tested by our quality controllers against diverse parameters in order to deliver a defect-free range at clients end. Moreover, the offered roll is extensively appreciated by our clients for featuring variegated attributes like easy installation and durability.